It’s Easter holiday time and this week I’m off to a super secret destination (it’s not that exciting really, and there’s no real reason for it to be a secret, I’m just trying to hype myself up a bit here). In the meantime I’ve been challenged to write about my dream holiday destination, and top of my list, no question, is Hawaii. The Hawaiian Islands consist of 6 major islands, plus many smaller islets and atolls. Each has their own character, culture and unique landscape, so you’re not going to see it all in one trip. 2. Also, did you know that snakes are illegal in the Hawaiian islands? I have no idea how they make that work. Maybe the Happy Face Spiders chase them away? Apparently snakes have no natural predators on Hawaii, therefore they could potentially run amok on the islands’ many endangered birds and their eggs. And the upshot of that is, if you posses or transport snakes in Hawaii, it’s a Class C felony, running the risk of a $200k fine and up to three years in prison. Snakey can’t come with you on holiday, thus avoiding any Snakes On A Plane-type scenarios. Probably a good thing really. OK, maybe leading with the snakes and spider news isn’t the best way to sell Hawaii to you as a dream destination. How about some sci fi landscape instead? Scary and beautiful at the same time, don’t you think? BEST MOVIE WITH A SURFING ALIEN EVER. FACT. So why am I so keen to go to Hawaii? For this we must go further back in film history to blame Elvis, who makes everything look cool. 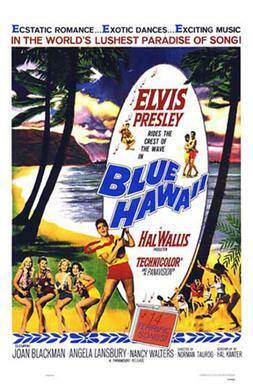 Other films you may have enjoyed that are set in Hawaii include: Aloha, Scooby Doo! (haven’t seen it, sounds awesome); the 2014 version of Godzilla (alas Hawaii gets destroyed in this one so best move swiftly along); and Paradise, Hawaiian Style (Elvis again, thankyouverymuch). Elvis flying a helicopter around Hawaii whilst a pack of loose dogs go nuts has to be one of my favourite ever film clips. Check out the genuine annoyance on his face, as he mentally plans to call his agent as soon as the scene wraps, plus the varying amount of dogs in every wide shot. 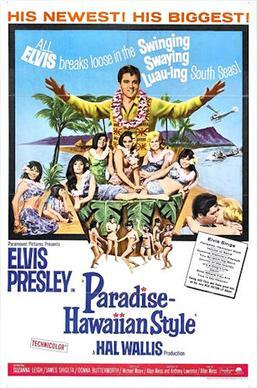 I think I saw all the Elvis in Hawaii movies multiple times as a young child, so the image that was implanted on me from a very young age is that Hawaii seems like a fun place to be. Obviously surfing is hugely popular around all the Hawaiian islands, but if you’re not a surfer, what else could you get up to? Come on, use your imagination. Yes, beach frisbee counts, as does snogging in the sand dunes. The Hawaiʻi Volcanoes National Park is on Hawaii Island (the Big Island). As you might expect, it contains dramatic and beautiful volcanic landscapes. 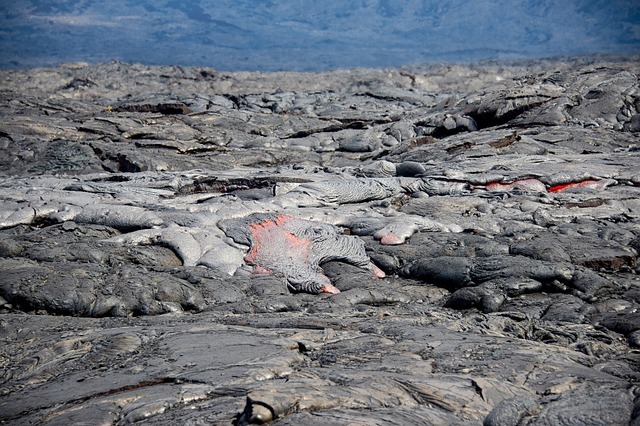 These are active volcanoes, but not so active that you can’t camp in the park. It’s worth packing your walking shoes and binoculars for a trip to Hawaii so you can enjoy the unique landscapes. Well, I already have walking shoes so that’s a start. Don’t forget to visit the underwater landscapes too, plus dolphins, turtles and whales. Take a boat trip and you never know who you might meet. Personally I find golf pretty tedious but it’s popular on Hawaii. I’ll see you back at the clubhouse with a cocktail. I’ll be the one chatting to my new friend, Mr Happy Face Spider. This is one of the newest forms of recreation on the Hawaiian islands and a really fun way to see the sights. The most popular zipline courses are on Maui, Kauai and on the Big Island. So I think what we learn from this is that one trip to Hawaii is unlikely to be enough. Better start saving.